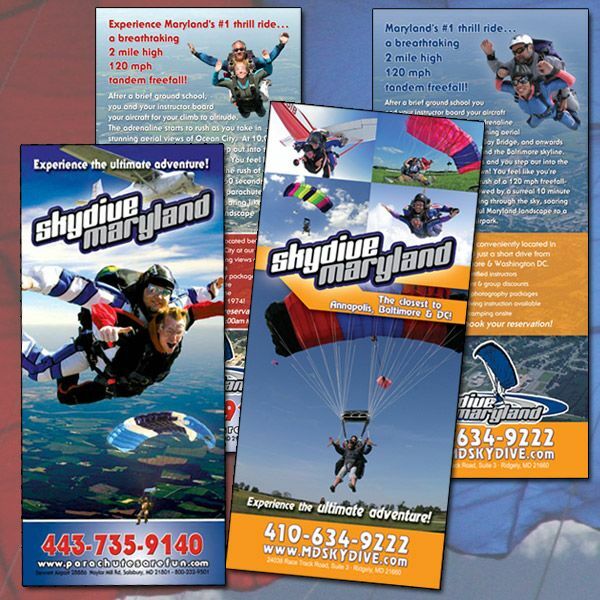 The Skydive Maryland rack cards were designed with an open airy feel to give the impression of actually skydiving. The design shows good use of the logo to help build brand familiarity. The cards were printed on a thick 16 pt stock with an gloss coating for a sturdy, professional presentation.